With headquarters at the Department of Health in Tallahassee, three laboratories (central laboratory in Jacksonville; branch laboratories in Miami and Tampa) service Florida's 67 counties. 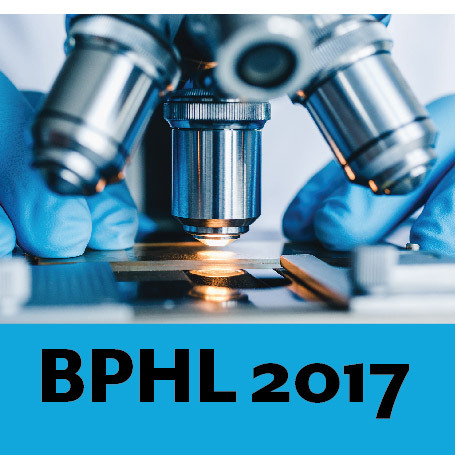 The report highlights BPHL’s 2017 contributions to a healthier Florida. 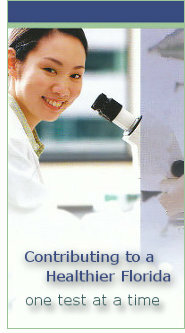 The Mission of the Bureau of Public Health Laboratories is to contribute to a healthier Florida by providing diagnostic screening, monitoring, reference, research and emergency public health laboratory services to county health departments and other official agencies, physicians, hospitals and private laboratories. In addition, the bureau is charged with protecting the public health, safety and welfare of the citizens of the State of Florida from the hazards of improper performance of environmental laboratory tests through regulating environmental laboratories. Our laboratories have the capabilities to diagnose rabies, HIV, gonorrhea, chlamydia and syphilis. We provide supporting data for the cause of food or water-borne outbreaks and can check for more than 150 chemicals in clinical specimens in case of terrorist attack and identify anthrax, smallpox and other agents in a bioterrorism event. Florida's public health laboratories are also on the forefront to detect drug resistant organisms such as methicillin-resistant staphylococcus aureus (MRSA) and multiple drug resistant and extensively-drug resistant tuberculosis.